I've finally figured out what bugs me about Dead Rising 4's zombies. The variety's poor, yes, but it's the fact they're all covered in glistening reflective blood. Why are up to 6 week old zombies covered in shiny fresh blood? Note to developers: If you include a letter-shuffling puzzle in your super-serious game about mental health issues, it's worth ensuring that the letters can't be placed in just any old order. It transpires that the 'hat' seen in Mario Odyssey is merely stage one of this horrifying infection. Having played The Walking Dead: New Frontier, Episode 1, I think the ESRB may need to amend their content warnings for the game. Playing The Walking Dead Season 3 E1 and just hit the first flashback.. Oh, you absolute bastards. You utter, utter bastards. Anyone given the Dead Rising 4: Stocking Stuffers DLC a go? It looks intriguingly seasonal, but I can tell from the trailer that at least one weapon is just a reskin. I can't figure out why we never got a Devil May Cry movie (though given the quality of some VG movies, that may be a good thing.) This scene alone should have been enough to sway any studio. I just assembled a Lego Lord Of The Rings Wizard Battle set to sell on E-Bay. I didn't have the instructions, but I'm pretty sure this is how the scene went, Gandalf fleeing on his rocket bike as Saruman stomped after him in his mech-walker. I would genuinely buy this game. Sod the X-Factor, there's only one song that deserves to be this year's Christmas Number One. Our plucky heroine stumbles across an apparently infinite supply of whale oil and quickly formulates a plan. Soon, all her foes will burn for their insolence. What could possibly go wrong? Never have I been so glad a backed a Kickstarter (admittedly, I've only ever backed one). 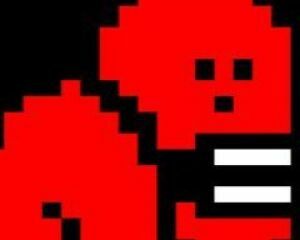 Digitiser's Mr Biffo presents his Found Footage Christmas Special. Now streaming #NoMansSky 1.11 - lets see if this new patch makes me want to spend more time on this game. EDIT: Okay, stream over. The base building was an interesting feature, but I still didn't feel like I was having any fun. To be fair, Bethesda do warn that mods may cause issues when playing Skyrim.. but it still took me a while to discover which of the 20 or so mods I'd loaded was causing.. issues.. with the game's opening. An eye opening tweet from voice actor Jason Marsden about his work on Skyrim. He was apparently paid the going rate for up to three characters, yet his recorded lines are used by a massive number of characters. Invaluable advice to ensure you don't embarrass your waifu when eating out. Can you have too many chicken goujons? Yes, you can. Just started playing Dark Souls after finishing Demon's Souls a while back and... it contains colours other than brown and murky green? What madness is this? Just added my verdict on No Man's Sky to my blog - https://bit.ly/2bTZsHZ. I ploughed 20 hours plus into this game hoping it'd get better, but it was not to be. The largest creature I've encountered so far in No Man's Sky, though still less impressive than the trailer animals. Pre-order culture has reached a new nadir. The PS4 dashboard just suggested I pre-order Dark Souls DLC. Why? Is there a shortage of 1s and 0s? Spoilers for Rings: Samara spends the whole movie sobbing into a pot of Häagen-Dazs after reading the comments on her video. Another No Man's Sky review/summary, featuring Rich from RedLetterMedia, which compares NMS to Stardew Valley, making the point that in Stardew you can at least look out at your farm and admire it. Angry Joe's No Man's Sky review is out. He actually goes to far as to show the bits of the trailers/interviews where we were promised feature X, which then was not in the final version.